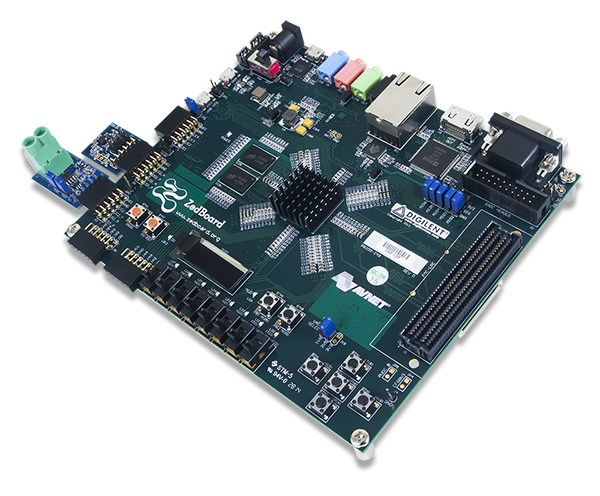 Take advantage of the Zynq-7000 AP SoCs tightly coupled ARM® processing system and 7-series programmable logic to create unique and powerful designs with the ZedBoard. 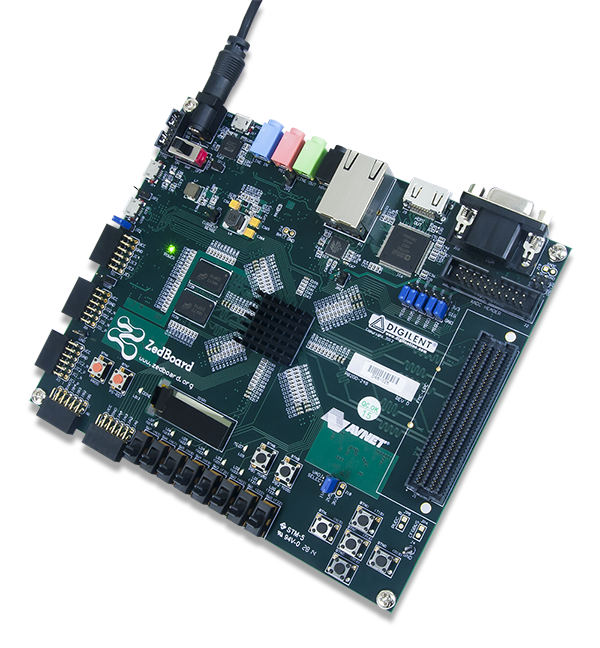 Target applications include video processing, motor control, software acceleration, Linux/Android/RTOS development, embedded ARM processing, and general Zynq-7000 AP SoC prototyping. 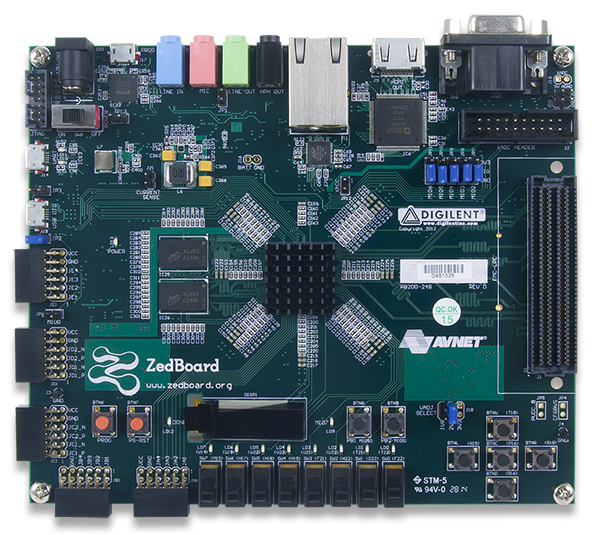 The ZedBoard kit is supported by the www.zedboard.org community website where users can collaborate with other engineers also working on Zynq designs. No projects were found for the Zedboard. Be the first to post a project here! This zip file contains out of box (OOB) SD card image and source. Documentation on how to obtain and build the Linux Kernel along with the hardware project and boot files are provided. 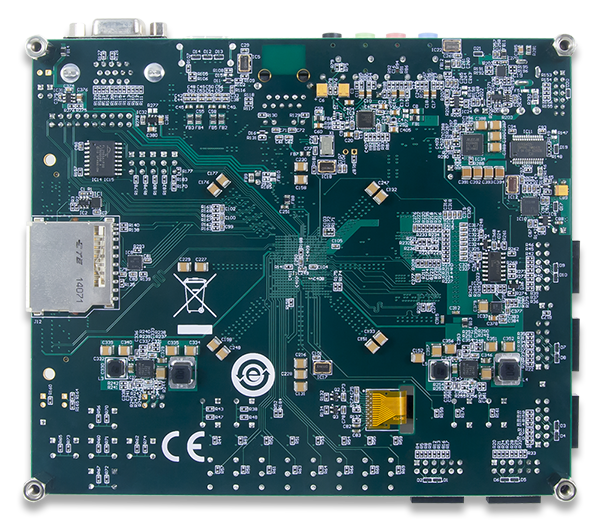 The Petalinux tools provide a quick solution for getting Linux running on the ZedBoard. 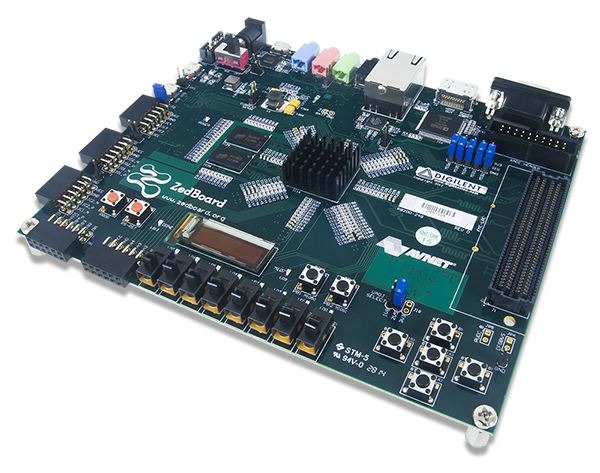 Xilinx provides a BSP targeted to the ZedBoard from the Downloads section of their site.